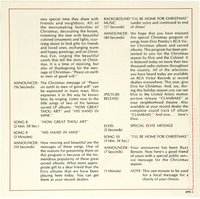 This is the Special Christmas Program issued to a select 2000 radio stations for a holiday broadcast set on Sunday, December 3, 1967. 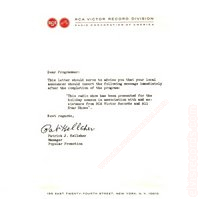 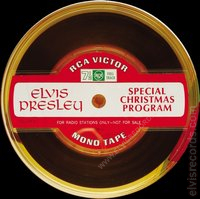 While many of the radio stations received this reel-to-reel, others received this program on album. 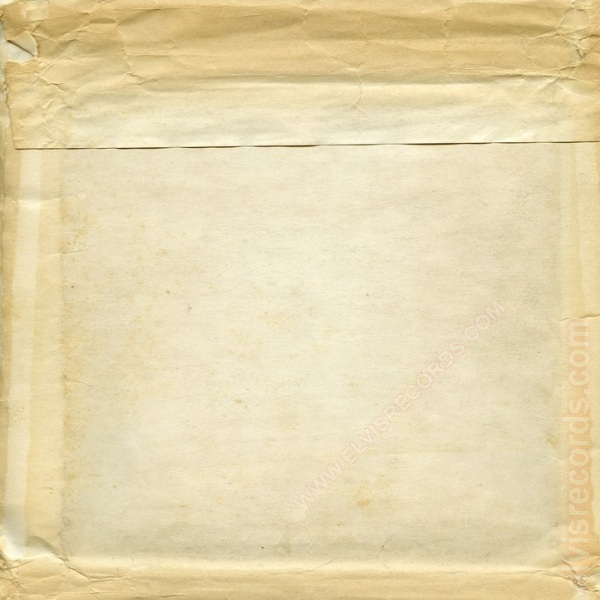 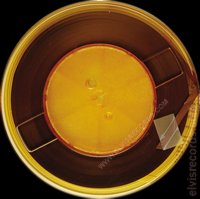 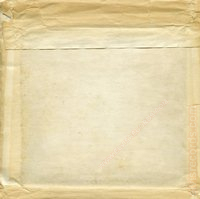 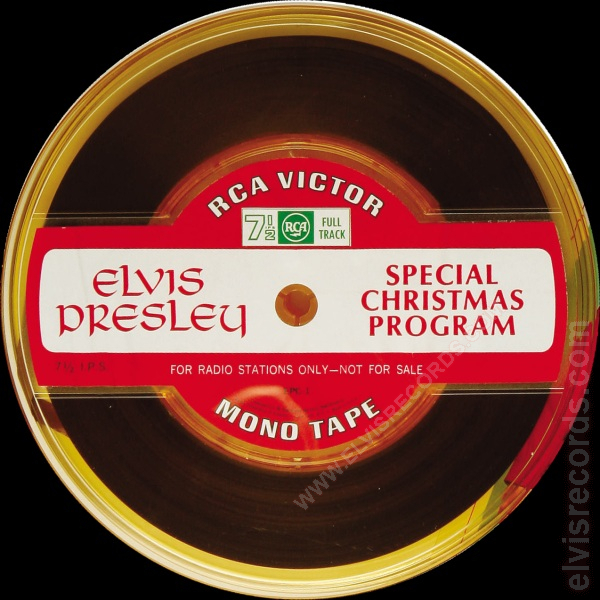 The artwork for the reel-to-reel program has been used for various bootleg releases and as a likely custom cover for an album that was found in 1976. 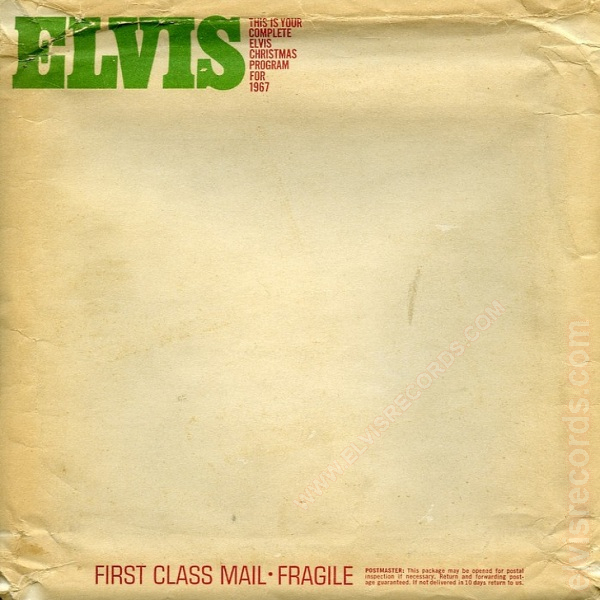 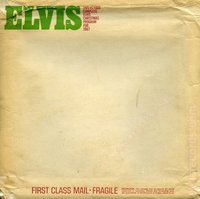 Envelope: Mailing envelope, front and back.1 The mailing envelope measuring about 9" x 9" contained a sealed reel to reel tape with four-page booklet, an Indianapolis pressing, regular release of If Everyday Was Like Christmas / How Would You Like To Be, and an RCA letterhead note. 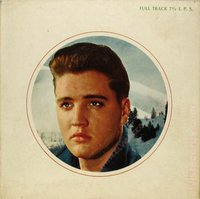 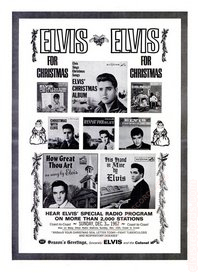 New York - More than 3,000 stations will broadcast an Elvis Presley Christmas radio program on Dec. 3 and 10. 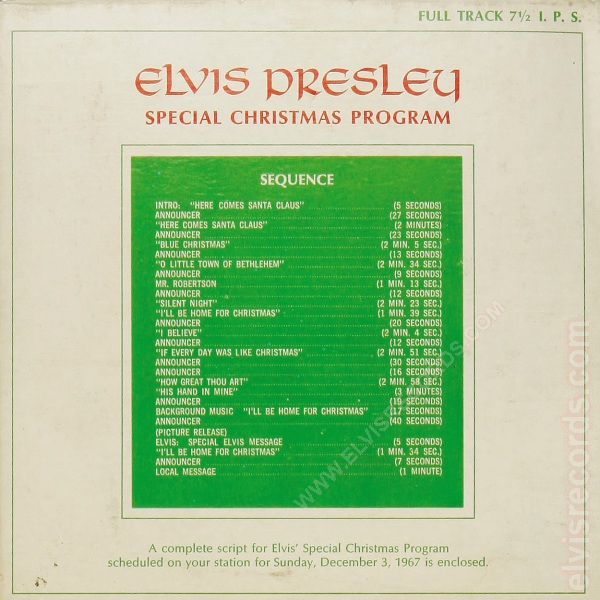 The half-hour program will include selections from his RCA Victor Christmas single "If Every Day Was Like Christmas," two sacred albums and one Christmas album. 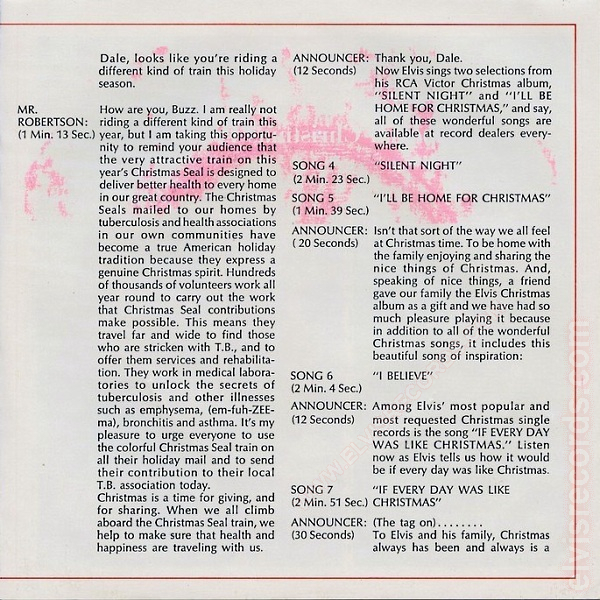 A spot announcement by Dale Robertson for Christmas seals also is part of the program. 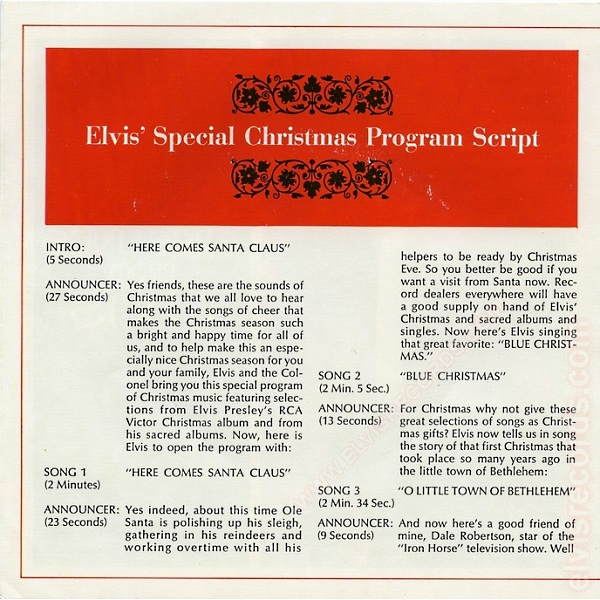 One minute has been left at the end of the program for local public-service announcements. 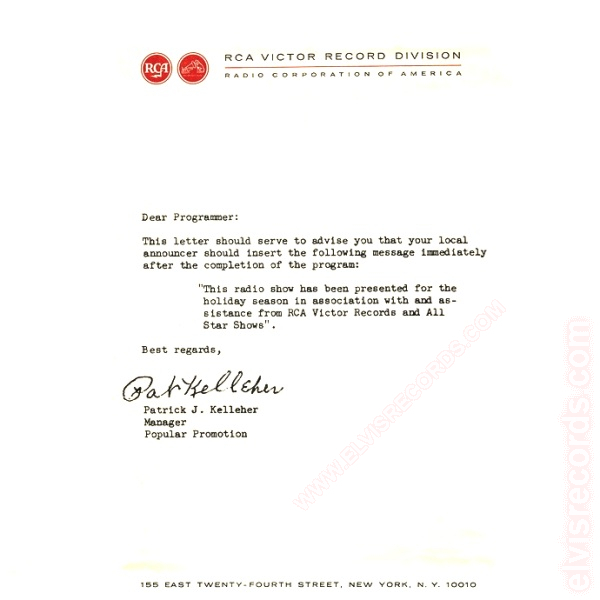 Victor is supplying stations with special program kits containing a 7 1/2 - i.p.s. 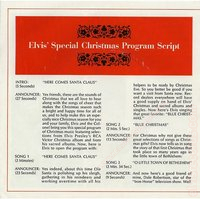 tape of the program plus a complete script with timings and a separate copy of the single. 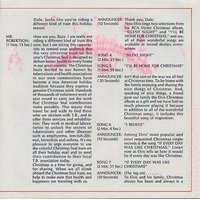 Being mailed separately are two four-color posters for store use and an ad mat for local tie-ins by dealers and radio stations. 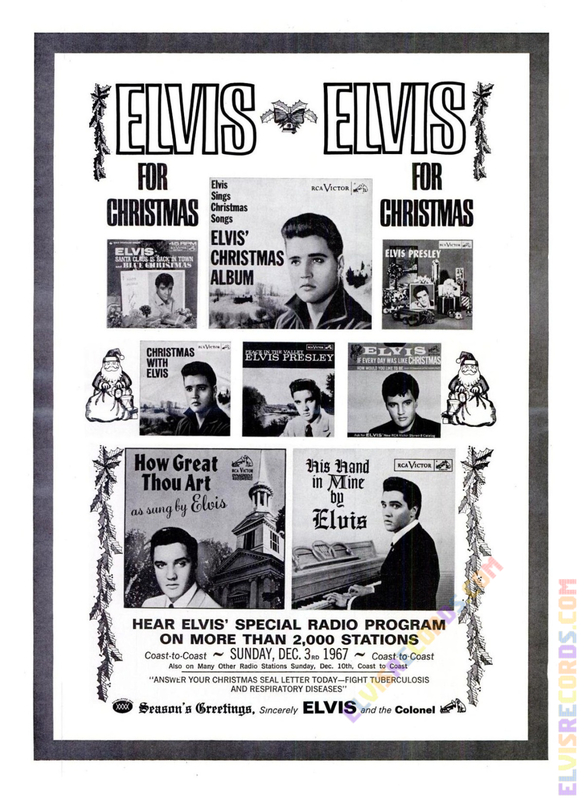 Trade and consumer advertising also is slated. 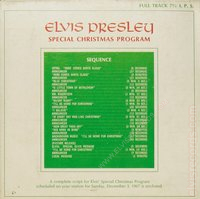 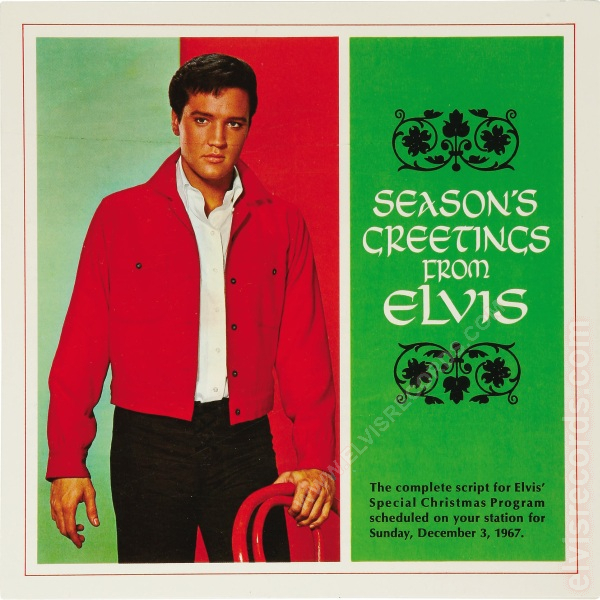 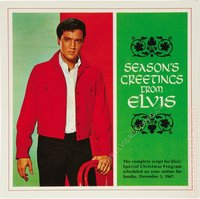 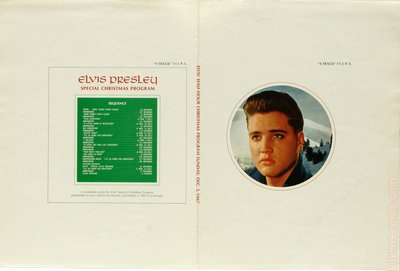 Stations carrying the program also will receive complete Presley disk and 8-track tape CARtridge catalogs, 100 Presley Christmas cards, 50 1968 Presley calendars, a package of Christmas seals, and handbills. 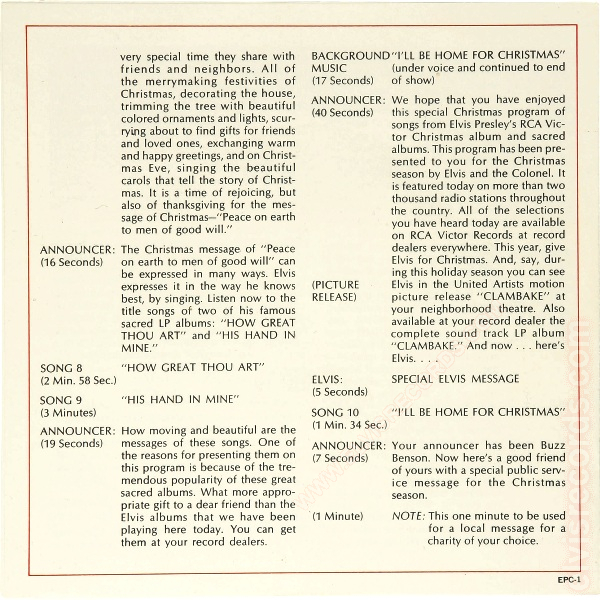 -Billboard Magazine, December 2, 1967, page 3.